The Premier League has some of the best goalkeepers in the world and as fans and fellow goalkeepers one of the big questions we always like to know is what gloves our favourite keeper is wearing. So to make it nice and simple, we’ve created a table below with each Premier League club’s number 1 and their glove of choice. Obviously a lot of the keepers wear special make up (SMU) versions of the glove that aren’t available for sale to the general public but this is generally the closest you will get to wearing the same glove as your favourite keeper!  Click on the image of the glove to find out more about it! The Adidas Ace Zones are the most popular glove within the Premier League, worn by the likes of David De Gea and Petr Cech – who some might argue are the best keepers in the league. 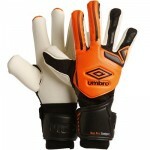 It’s also worn by some of the best goalkeepers outside of the Premiership like Manuel Neuer. There are a number of models of Ace Zones, but the most popular is the Ace Zones Pro which features the below specs. HO Soccer aren’t a popular name within the Premier League, in fact only one goalkeeper in our list wears them which is West Ham’s Adrian. But they can also be found on the hands of Manchester City’s number 2 Caballero and Tom Heaton who will no doubt be back in the Premiership sooner rather than later! The Nike VG3 glove is the second most popular glove within the Premier League and is also worn by some of the best goalkeepers the league has to offer such as Courtois, Hart and Butland. What makes the VG3 so unique is its trademarked cut – effectively roll finger on index and pinkie and flat palm on the other 3 fingers. 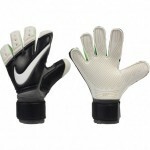 It’s hugely popular among amateur keepers also – definitely worth trying at least once in your goalkeeping life! Latex: 4mm Contact (although the pro version uses a Profi Latex which is actually available to buy as a ‘Promo’ model). Back when Tim Howard was almost the flagship goalkeeper for Nike, he decided he didn’t like the VG3 glove which almost all of the current Nike keepers wear. He instead preferred their Premier model, at the time choosing to wear a gunn cut version of the Nike Premier, although he has since apparently become even picker and now runs a very unique SMU which isn’t available to buy. The closest glove Nike sell to the one that Howard wears is the Nike Premier SGT, but bear in mind his glove does not have the laser etching and most likely uses the same Profi latex available on the VG3. A favourite brand of ours, the One Glove have appeared in the Premier League this season on the hands of Newcastle’s Rob Elliott. Rob took over from Krul following an injury but had been in sensational form for the Magpies until he picked up a season ending knee injury playing for his country in March 2016. Rob had previously been a fan of the Pulse model but has recently switched over to the Invictus Ice-Carbon flying those black and white stripes to match his club! 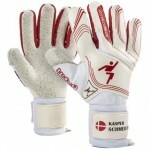 Worn within the Premier League exclusively by Kasper Schmeichel, the Schmeichology glove has long been a bone of contention for Keeper Portal as the glove is named after him but yet for a long time the cut he wore was completely different from the one available to buy (because it was the VG3 cut that Nike have trademarked). However, all our worries appear to be over as with the release of Precision’s latest Schmeichology range which looks like it has been designed for the upcoming Euros it appears Schmeichel is now wearing at least a similar glove to the one available to buy. 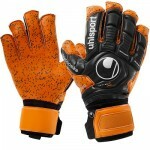 Sells gloves are pretty unique in the Premier League, they are one of the few brands who offer a variety of different models available to the general public and their sponsored goalkeepers also wear the different models which shows that there is at least some choice in the glove by each goalkeeper rather than just being paid to wear a model. The Axis 360 Elite Aqua is worn by Mignolet and Speroni in the Premiership and is effectively their fantastic aqua latex in a flat palm cut. 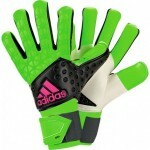 Worn by Fraser Forster and John Ruddy, this is one of Sells most popular models (and their most expensive!) it still has the fantastic aqua latex offered in all of their top models but the Total Contact model pairs it with a hybrid cut that they call the Expanse Cut. The final Sells model worn in the Premier League, the Sells Wrap Elite Aqua is worn by West Brom keeper Ben Foster and has long been his glove of his choice! 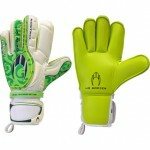 The Wrap offers the classic roll finger cut alongside the excellent Adhesion Ultra latex. The Uhlsport Ergonomic 360 Supergrip glove is worn by Tottenham’s Hugo Lloris and is a hive of apparently unique technology starting with their own HN Cut, Supergrip latex which apparently adds 16% extra grip and a unique angle of the glove from the palm to better suit the natural catching position of your hands. Whether this is all marketing talk or it really is a real evolution in goalkeeping gloves is yet to be decided, but it’s at least great to see that a brand is trying new things. Umbro have pretty much vanished from the glove market since Joe Hart left to join Nike but there is still one Keeper in the Premiership wearing their gloves – Wayne Hennessey of Wolves. The Umbro Neo Pro Shotgun is an extremely tight roll negative cut which offers great feel for the ball but very limited support.